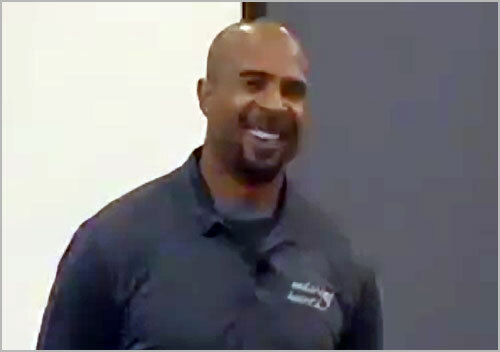 Dorsey Levens is a retired NFL running back who played for the Green Bay Packers from 1994 to 2001, the Philadelphia Eagles in 2002, the New York Giants in 2003 and the Philadelphia Eagles again in 2004. Levens was both All-Pro and Pro Bowl in 1997 plus Super Bowl champion in Super Bowl XXXI. He was elected into the Green Bay Packers Hall of Fame In 2009. PFP Sports & Celebrity Talent Agency is a top booking agent for motivational sports speakers and celebrities. If you would like to book NFL stars like Dorsey Levens for a speaking engagement, personal appearance or special event, you can request Dorsey Levens agent and speaker information from PFP Sports & Celebrity Talent or call 800.966.1380.